Weitere Fotos finden Sie unter Fotogalerie. This walk through Königslutter will show you around our town in words and in form of pictures – may be even in reality. The walk starts at the town church in the centre, offers a number of alternate routes and ends at the Kaiserdom. The tower of the town church of St. Sebastian and St. Fabian dates from the 12th century; the original church building was reconstructed in the 15th century in gothic style. The curved roof of the tower dates from 1744 after the tower had to be repaired. In 1822 it was contemplated to remove the pillars and vaulting to achieve more space for the increasing congregation. This restorative work was luckily never undertaken as it would have caused the whole church to cave in. In the course of the restoration in 2008, the paint covering several angels in the vaulting was successfully removed. Around the church there used to be the town cemetery. During building work in the year 2003 a number of graves of many centuries before were uncovered. They had been chiselled into the solid rock underneath in the shape of bodies. North of the town church there still remains a rest about 100 metres long of the old town wall. Königslutter had been surrounded by a wall earlier than a lot of other towns. Originally only the area around market place and market road were contained inside, but in the 15th century after the town was enlarged the wall ran along here. After the town walls no longer had a practical use they were torn down. This little piece however was left until today. 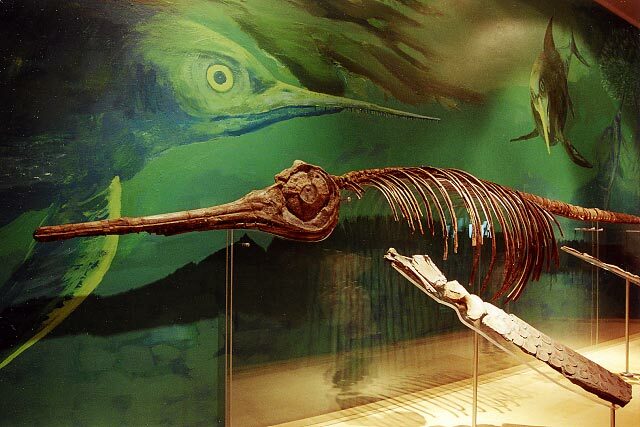 Here a visitor will find an overview of the geological and landscape history of our region – richly underlined by many fossils, illustrated charts, dioramas, photos and last not least some specimens of plants and animals from long past ages, still living today. Additionally, the Info-Centre is the “entrance” to the National Geopark Harz . Braunschweiger Land . Ostphalia. Here you will find in addition to general touristic information about the region, material and hints for your own expeditions. Today Königslutter's Town Hall consists of two buildings in order to contain all of the administration. The bright yellow one had already been Court house and the Mayors abode, but was also used for feasts and as magazine by the cloth makers. In 1831 the building had to be rebuilt and was used as a hotel but finally again for the town administrative needs. The orange building opposite is an old monk's house which belonged to the town church and came into private hands after the reformation. Between 1796 and 1799 it was used by Dr. Samuel Hahnemann the founder of homeopathy. Since 1905 it has been used as town hall. 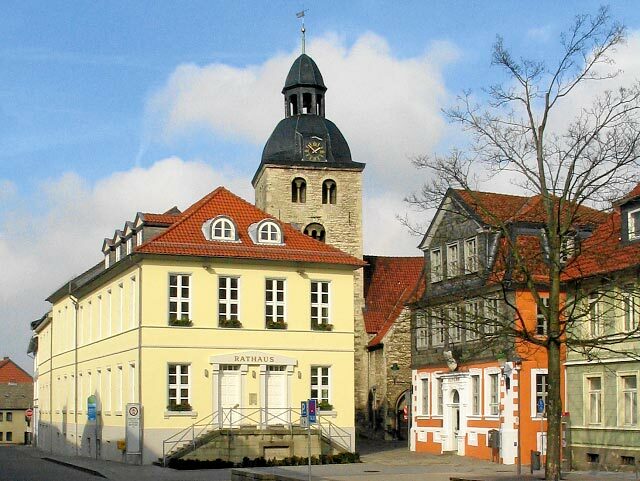 The market place has – like in many town of lower Saxony- developed from a widening of the street. Weekly markets took place here and twice a year even grand markets. Until the 18th century the market was also a place where people were pilloried or even executed. Some of the houses which were built around the market place are still there. The Rats pharmacy has been owned by one family for over 200 years. Many famous pharmacists and medical doctors came from this family. 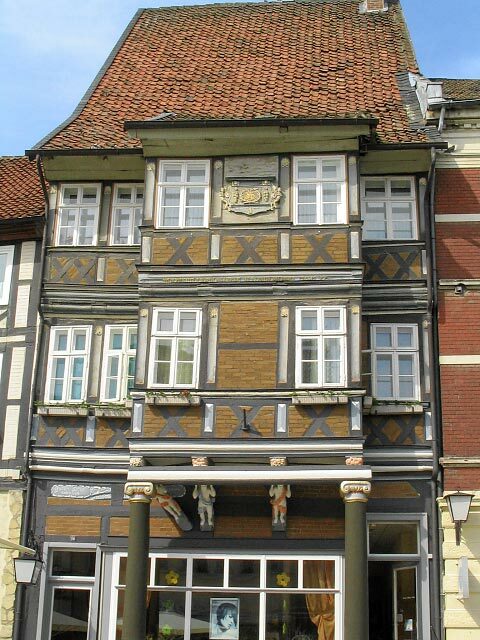 Directly opposite you will find one of the loveliest timbered buildings of the town built by Councillor Ernst Leidenfrost in 1764. It is said the pillars and the figures under the balcony stem from the village church in Schoderstedt which became desolate in mediaeval times. The house in the south west corner of the market showing an old fanlike frieze was built around 1560. The Market Place was reshaped during 2006 and 2007 when a rostrum was added. Here used to be a Guard House for the town military in the 18th century. 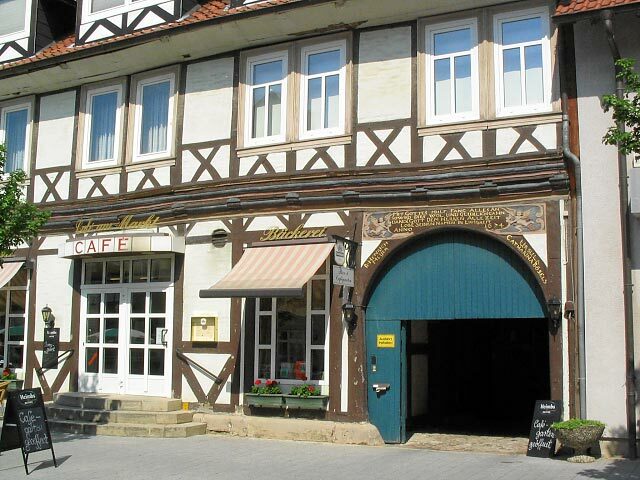 The “Café am Markt” is one of the former 73 brewing places Königslutter had in earlier times. Here the famous Duckstein Beer was made from the clear but very hard water of the Lutter. 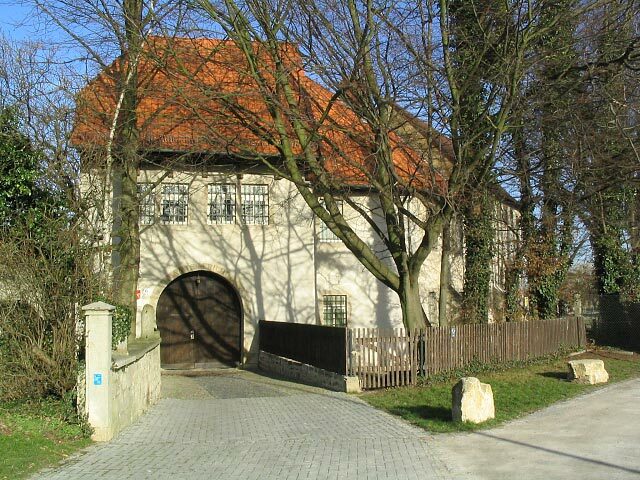 One can recognize the former brewing houses by the big round arched entrance behind which was a hall where the brewing took place. According to an old legend the two angels above the arch of the entrance were placed there as thanks for the salvation of the owner's loved little daughter who fell in front of a heavy horse cart driving through the gate. There are a number of houses worth looking at in the Market Street. 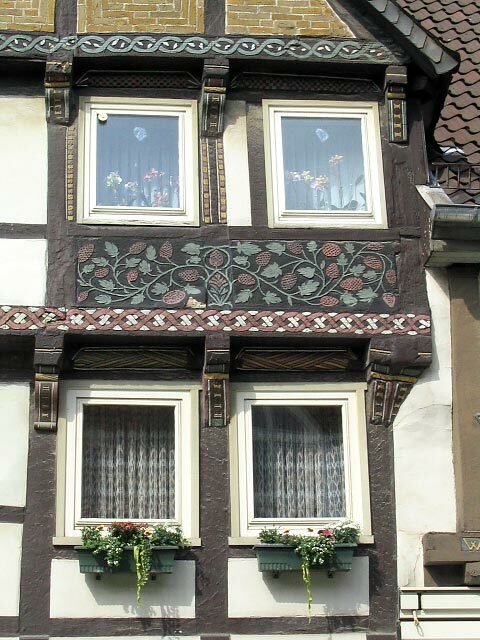 Directly opposite for instance there is one of the eldest houses in the town built 1571 (now a flower shop) with very decorative timbering and a rare depiction of hops in the second floor. Next to it there is one of the narrowest lanes in town called Middle Lane (Mittelgasse). On its upper end there are a number of tipsy, lowly and small timbered houses which demonstrate in what sort of houses the simple tradesman used to live. 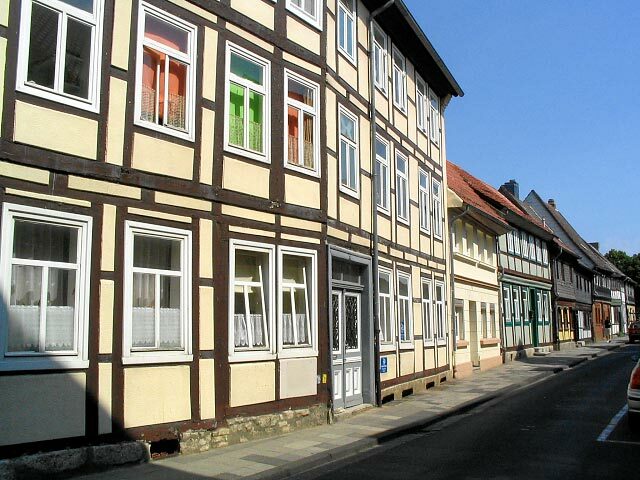 The multi story timbered building out of line from all the other houses in the Market Street used to be the “Zehnthaus”, the place where the farmers had to bring ten percent of their crops as dues. Just across the road from there at the beginning of the Goose Market (Gänsemarkt) there is a lovely fan frieze building dated 1573. Around 1200 the Brunswick dukes built a castle with a moat around it where today the Main Road is situated. This castle protected the village Lutter. The moat was filled with the waters of the Lutter. Several noble families serving the duke by administering his will used to live here in mediaeval times. From the 17th century on it was also court house. In the late 1960ies the main building had to be demolished. Today only the entrance and some domestic parts of the building remain. They were used as prison until 2009. Over many centuries Königslutter had a lot of water mills. In 1761 there were 11 of which the most important one was the Herrenmühle. 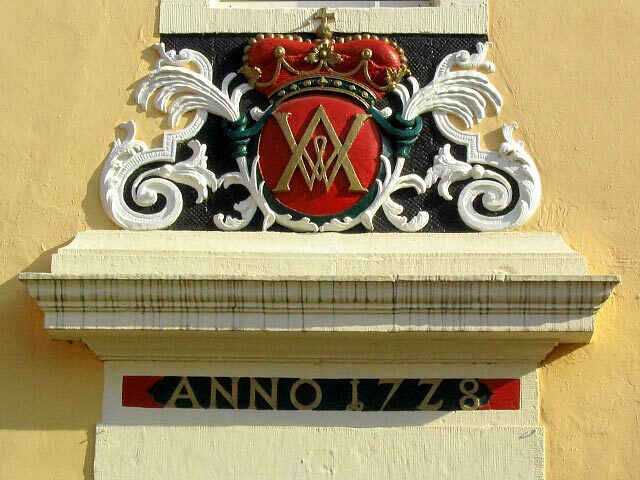 It was built 1728 and still shows the initials of Duke August William. The bed of the Lutter is very high behind the mill and its water is conveyed by means of a viaduct. Today the water roars down next to the windows of the restaurant that is there today. Inside this lovely old former brewing house built in 1670 there is the town's library and also the Otto Klages Collection. Otto Klages was a businessman from Königslutter who in his leisure time put together a remarkable collection of minerals and fossils from all around the world, among them of course some very fine pieces from the Elm. The houses next to it and to the left opposite (Landsknecht) were also former breweries. There is a stone sculpture opposite the Otto Klages Collection depicting an ammonite. 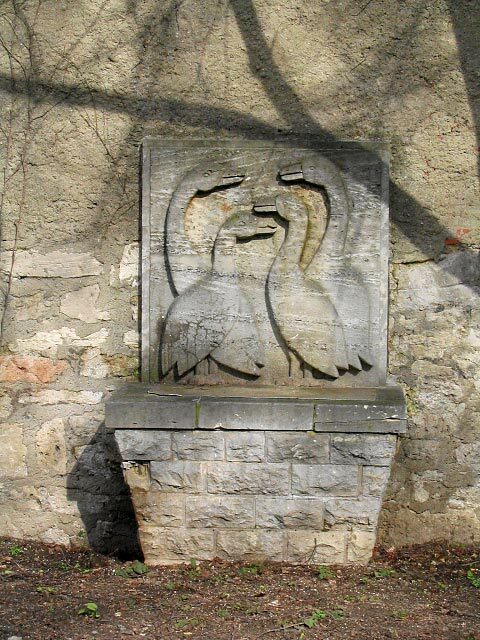 It is one of the many works of art made by scholars and teachers of the masonry school and which brighten up the prospect of Königslutter making it something special. Others are the fountain with the goose motive on the Goose Market, the sculptures outside the Museum of Mechanical Music Instruments (MMM) or the sculpture of Till Eulenspiegel on the corner of Schöppenstedter- and Klosterstrasse. In the school of masonry in Königslutter apprentices from northern Germany learn their crafts. In addition artists are invited to symposiums and their works of art are exhibited here. 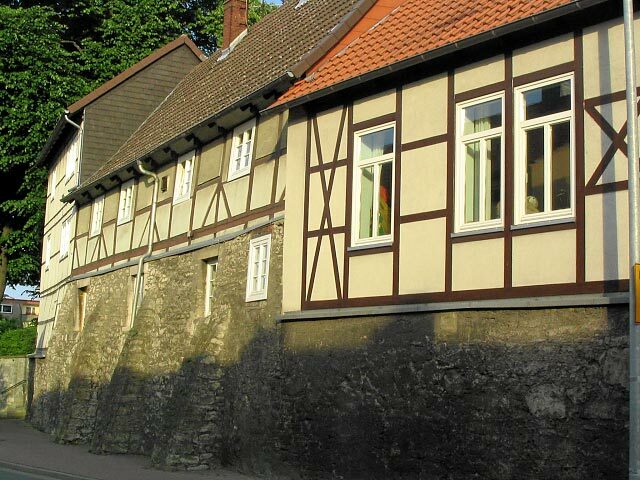 This street with its old timbered buildings was newly made in the 15th century and thus got its name. At that time the town was enlarged to cope for the inhabitants of the village of Schoderstedt who had to be resettled after their village became desolate. The Wallstrasse used to be the border between Königslutter and Upper Lutter which was independent until 1924. The small building on the corner used to be the watchman house. The restaurant “Schützenhof” opposite already belonged to Upper Lutter. This abbreviation stands for “Museum for Mechanical Music Instruments”. 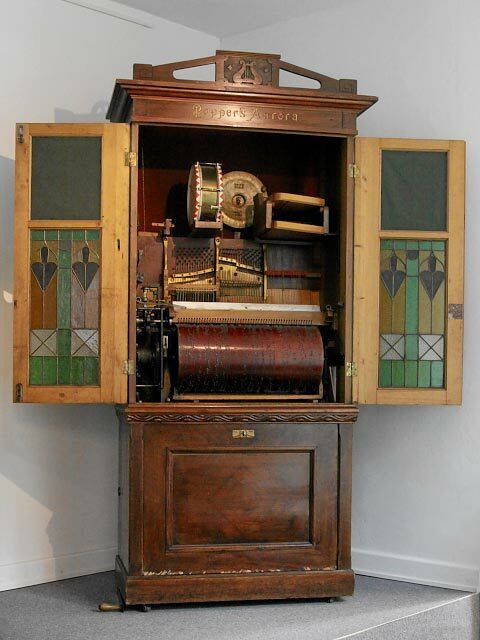 The Museum for Mechanical Musical Instruments evolved from a private collection and comprises over 250 exhibits from musical boxes, barrel organs and orchestrions of international rank. Most of the instruments are functional and their music can be listened to during a guided tour. 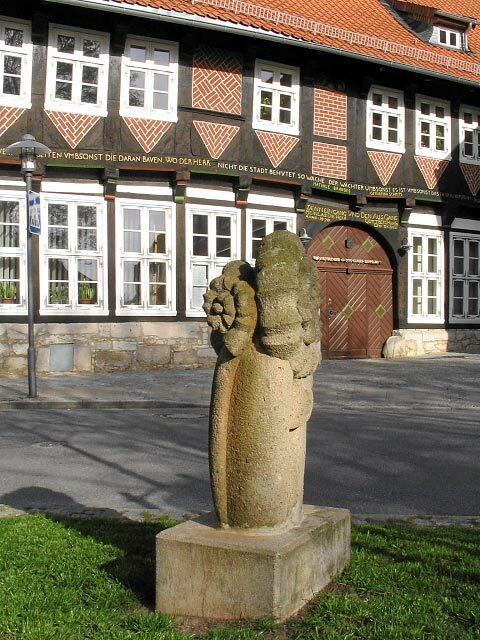 The same building contains the “Dom- und Steinmetzmuseum” which presents the building history of the Kaiserdom and explains how mediaeval stone masons went about their work. The foundation church of Königslutter, known as Kaiserdom is one of the most impressive Romanesque buildings in northern Germany. 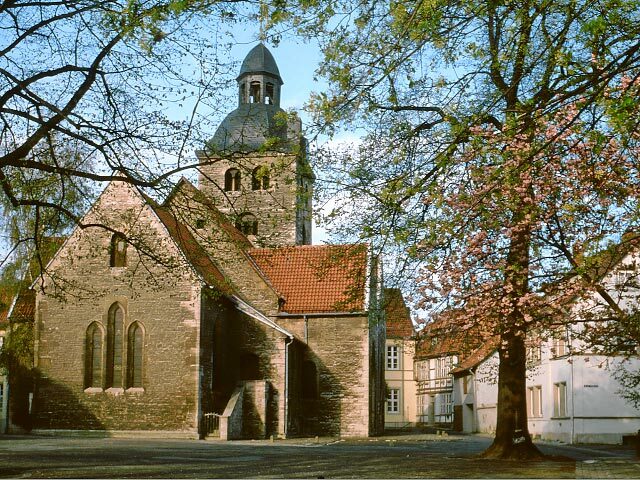 Lothar of Süpplingenburg, from 1133 Emperor Lothar III., founded this church in 1135. It is built as a three nave basilica in cross form. 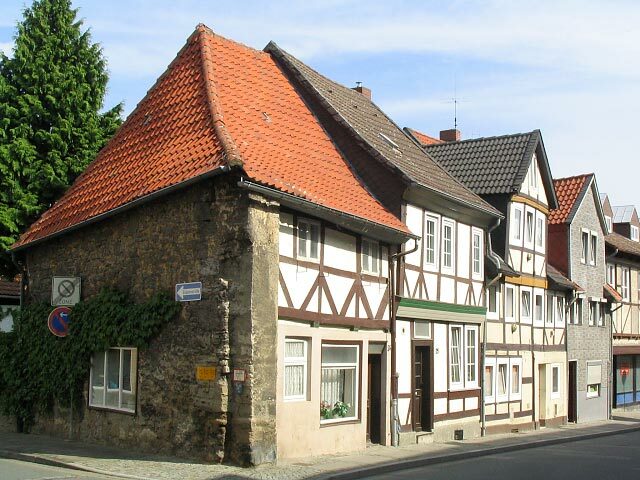 It contains the first large vaulting north of the Harz Mountains. The church is unique for its extensive masonry decoration made by renowned Italian stone masons. The hunting frieze on the outside of the choir apse, unique in Romanesque art, the cloister with its different columns and the lions gate on the northern side are all especially worth looking at. From 2002 to 2010 the Kaiserdom has undergone extensive restorative work outside and inside. It ranges from drying the walls and renewing the paintwork to general overhaul of the organ. The restoration of the church now is finished in time for the 875th birthday (2010). 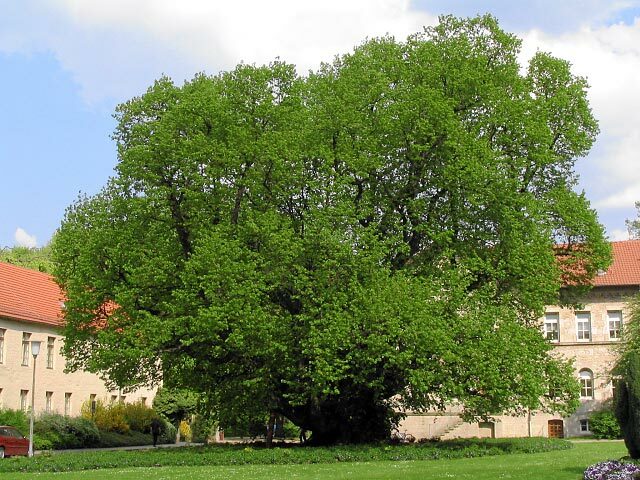 This tree is one of the oldest and biggest lime trees in Germany. It has a circumference of about 12 meters and is about 20 meters high. Its crown is over 30 meters in diameter. 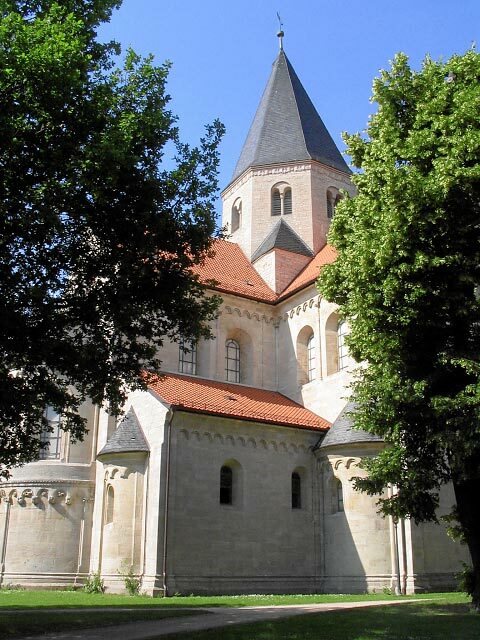 According to old stories Emperor Lothar planted it when he started building the Kaiserdom. In the middle ages it was a place of justice, later it was the centre of fun and dancing. The dance orchestra used to sit in the lower branches and the people danced happily underneath. Since 1956 the tree has been a natural monument. The individual branches had to be propped or held by steel cables – but then, the tree honours this work by growing leaves and lovely blossom every year.